Thale Noi Waterfowl Reserve is currently under the care of the Royal Forestry Department. 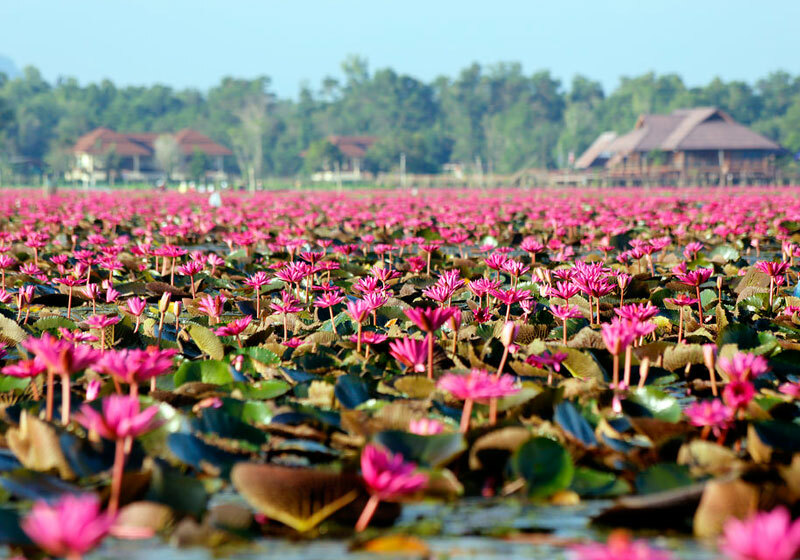 It covers 450 square kilometers, 6% of which is taken up by a large lake named Thale Noi. The lake is 5 kilometers wide and 6 kilometers long with an average depth of 1.2 meters. There, visitors can enjoy spotting many local plants, such as lotus, bulrush, reed, and grasses used for thatching. More than 180 species of waterfowl, migratory birds, and indigenous birds make their home at Thale Noi. Some live here throughout the year and some migrate only in winter from October to March when the population density is at its highest. The low season is June to September, which is the nesting period. To get there, visitors can take boats from Thale Noi pier. Those wishing to research and study the ecological system must request permission and a guide from a reserve official; those wishing to merely visit can take advantage of Thale Noi community services. Visitors may also arrive by train at Pak Khlong station, and continue by car to Thale Noi, which is 8 kilometers away from the station. The reserveoffers comfortable accommodation. The reserve can be reached via Highway No. 4048 from Amphoe Mueang to Amphoe Khuan Khanun and to Thale Noi, for a total distance of 32 kilometers. Short Description: This reserve is currently under the care of the Royal Forestry Department. It covers 450 square kilometers, 6% of which is taken up by a large lake named Thale Noi. The lake is 5 kilometers wide and 6 kilometers long with an average depth of 1.2 meters.